The top Impressionists have had a tremendous influence on my personal development as an artist. They tested the boundaries of what is possible with color and demonstrated that subject matter is not the be-all and end-all in painting. They showed you can paint something just because it is pretty, without any deep underlying meaning, and you can have success doing so. In this article I provide you with an overview of the Impressionist art movement and some of the key takeaways which you can apply to your own paintings. 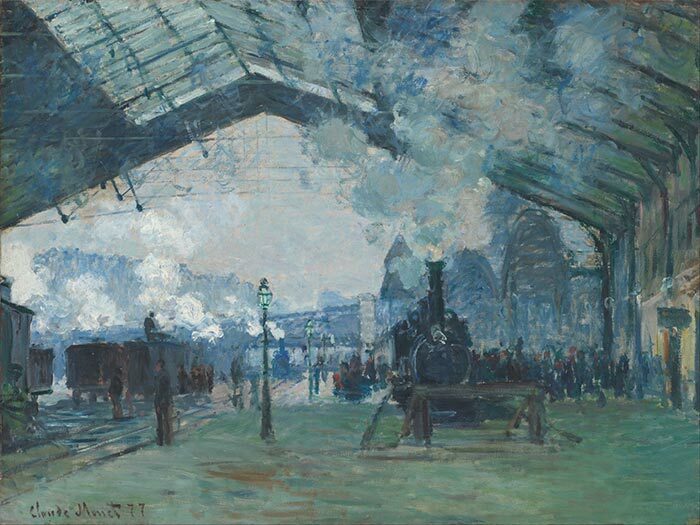 The Impressionist art movement was established in the 1860s, France and represented a radical shift from the realistic academic painting that had dominated the era. Depictions of religious themes and historical subject matter, painted with precise brush strokes and restrained colors were highly valued among the art critics of the time. 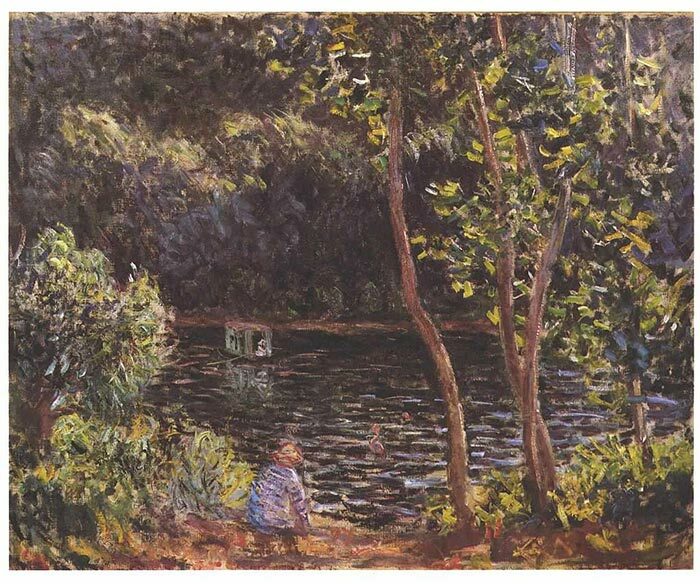 The movement was led by artists Claude Monet, Pierre-Auguste Renoir, Alfred Sisley, and Frederic Bazille who took their canvases outside and established the practice of plein air painting. Their work coincided with the development of portable paint tubes and box easels. Unlike other artists, who only made sketches outdoors and then continued to work on them in the comfort of their studios, these four artists painted plein air from start to finish, depicting vibrant landscapes and capturing the scenes of everyday life. They painted the world as they saw it - imperfect and in constant change. 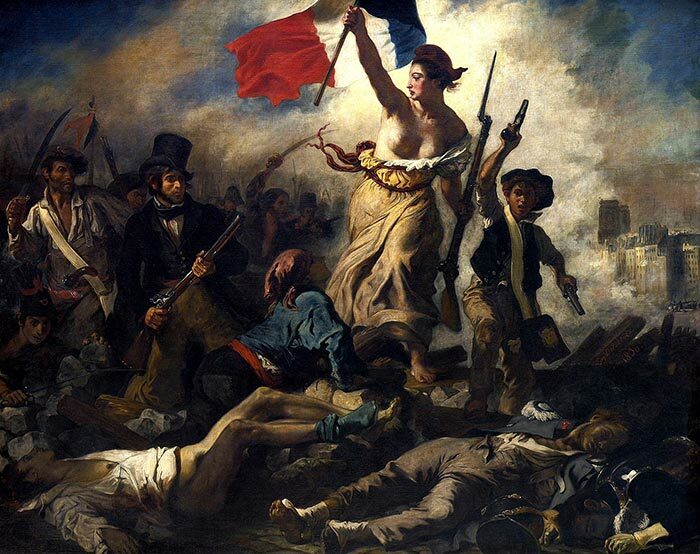 As a result, their paintings seemed messy and unfinished to other artists at the time. The movement caught public attention in 1874 when Impressionist's artworks were exhibited at now-famous Salon des Refusés, which is French for "exhibition of rejects". This was a group show composed of artworks that were submitted for the annual state-sponsored exhibition the Salon, but were rejected by the jury. The exhibition attracted numerous visitors, art critics and public alike, but the artworks were mostly ridiculed. 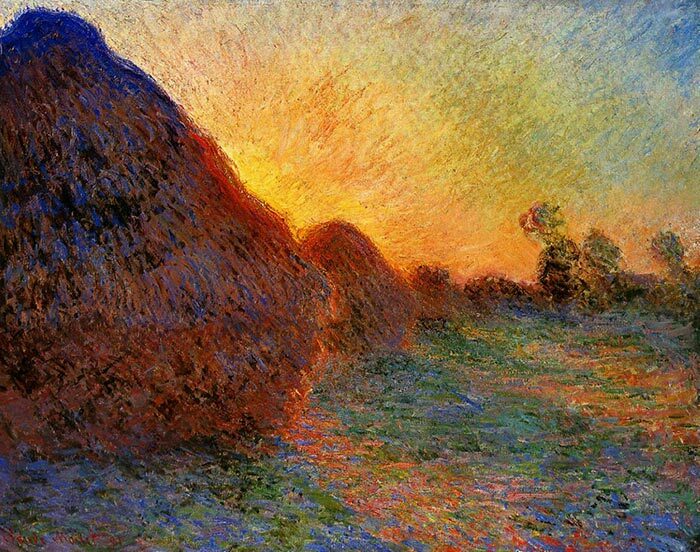 In a rather harsh review by art critic Louis Leroy, he mockingly referred to the movement as impressionist, the name coined after the title of Monet’s painting Impression, Sunrise. Little did he know that the word he used as an insult would mark the whole art movement. The Impressionist movement was marked by a set of distinctive characteristics that represented a radical change in the way art is made and understood. Before Impressionism, painters used precise, almost invisible brushstrokes often blended together with golden varnish. The Impressionists, on the other hand, used thick, conspicuous strokes to depict the ephemeral nature of light and the passing of time. Using loose brushstrokes enabled them to paint quickly on the spot and capture the essence of the subject matter before the light changed or the subject moved. This kind of brushwork resulted in energetic paintings which portrayed the fleeting nature of the environment. The Impressionists also started to introduce more color when painting shadows. Instead of using blacks and browns, the Impressionists started incorporating blues, greens, purples and other colors with a distinct color tree. 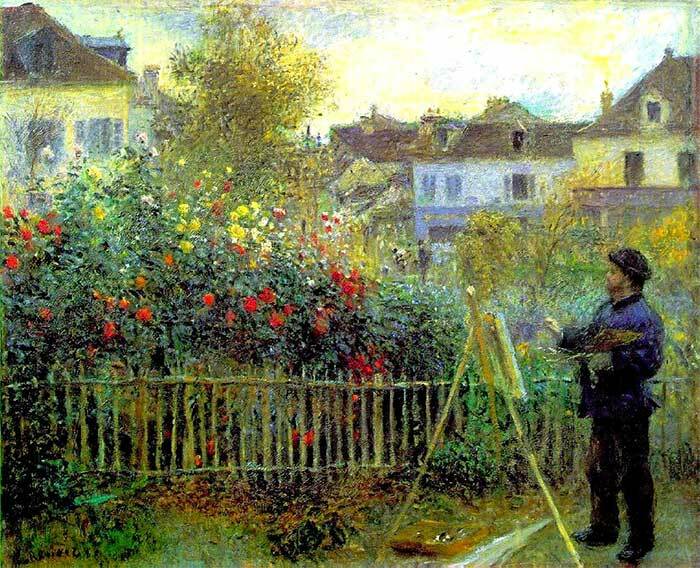 This may be due to most of the Impressionist paintings being created outside, where there is much more light and therefore more visible color. Or maybe it was due to a great understanding of how light and color work. 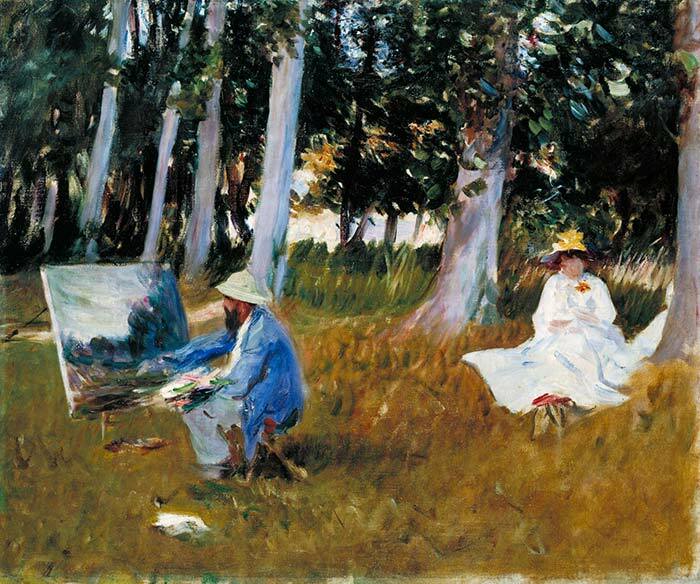 Plein air painting allowed the Impressionists to closely study natural light and the way it influences the colors we use. Faithfully painting the light was a primary goal of the Impressionists. That was more important than the subject itself in most cases. Back then, light and color were still a bit of a mystery (and still are). In doing so, many artists painted the same subject matter over and over again under different light and weather conditions. Claude Monet did this on many occasions with haystacks, water lilies and the Rouen Cathedral. The rise of plein air painting in many ways determined the subjects which the Impressionists painted. 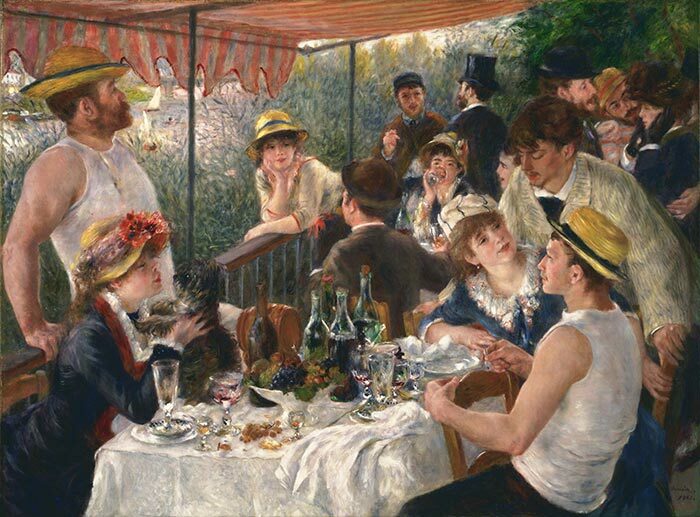 Instead of grandiose historical or mythological themes, the Impressionists portrayed things they could see outside - typically an array of vivid landscapes, still lifes and scenes of everyday leisure activities (e.g. picnics, boat rides...). Inspired by the then newly developed medium of photography, the Impressionists produced paintings with unusual visual angles that resembled images of moments in time. This is why many Impressionist paintings feature asymmetrical compositions resembling candid photographs taken without the knowledge of their subjects. 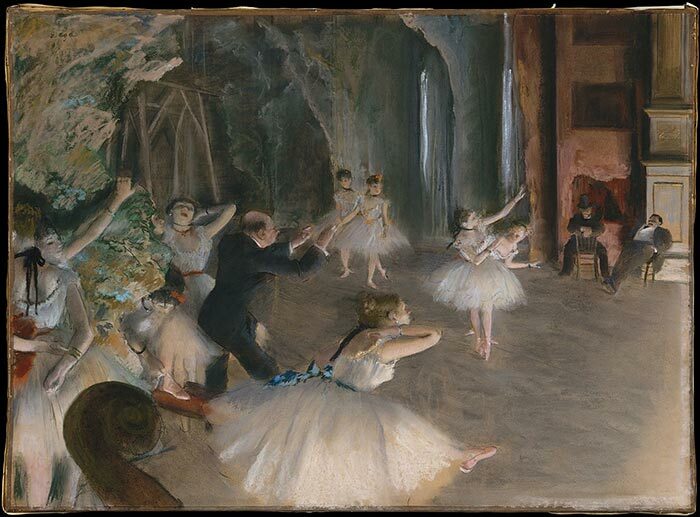 This is particularly visible in the works of Edgar Degas who, inspired by Japanese prints, painted ballerinas from intimate viewpoints, bringing the viewers into the close proximity of the dancers. The most prominent artist of the Impressionist art movement was undoubtedly Claude Monet, most famous for his depictions of water lilies. 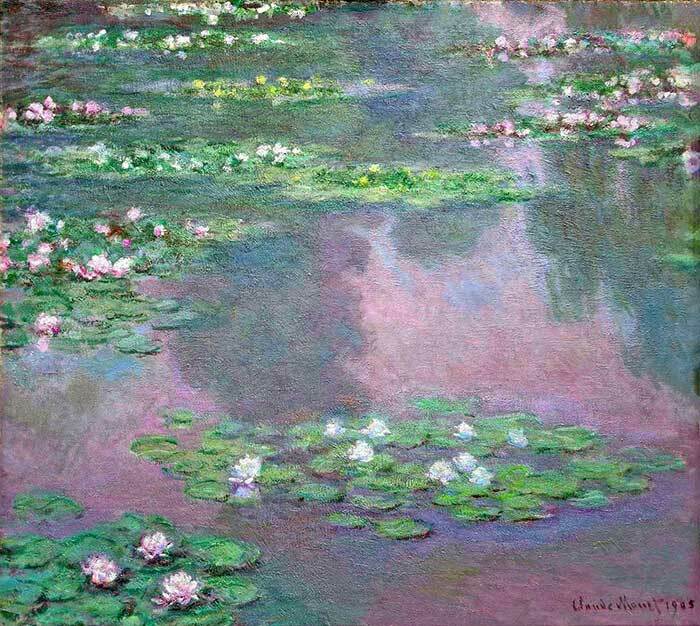 By using unmixed paint and scattered brushstrokes, Monet sought to capture nature as he saw and experienced it. He often used the wet-on-wet method which involved painting one layer of paint over the other, without waiting for the first layer to dry. This method allowed him to complete paintings relatively quickly compared to the wet-on-dry method which was popular at the time. The technique resulted in softer edges and blurred lines that merely implied three-dimensional planes without realistically depicting them. As mentioned earlier, his innovative approach to art included painting the same scene over and over again, at different times of the day and various weather conditions to show how light and atmosphere influence our perception. Monet’s friend and contemporary, Camille Pissarro, was a pivotal figure in the Impressionist movement and is known for depicting vibrant landscapes and scenes from the everyday life of French peasants. He often blended the peasant figures into the surroundings instead of having the figures stand out. That way he managed to get the viewers to experience the painting as a whole, instead of focusing on the subjects of the artwork. 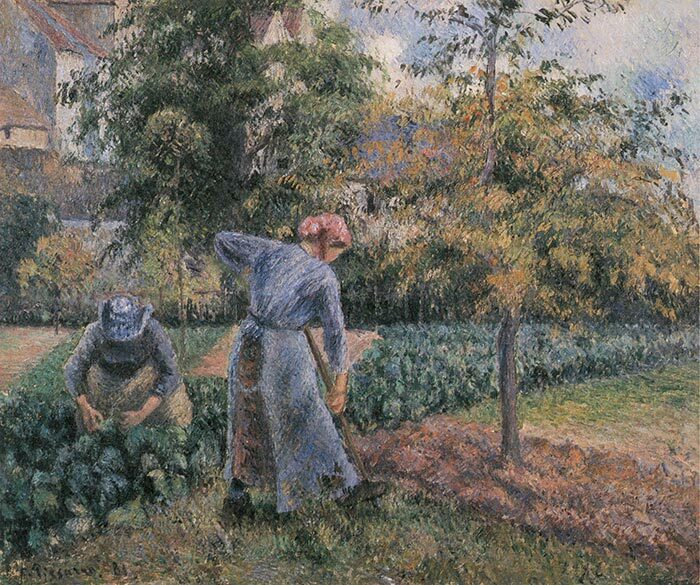 Much like Monet, Pissarro also created numerous studies of color and light by painting various rural objects under different weather conditions and changing light. Unlike most Impressionists who preferred painting in plein air, Edgar Degas was more interested in depicting indoor scenes of people’s daily activities. This is why cafes, musicians and most notably ballet dancers are commonly featured in his works. Inspired by the aesthetics of Japanese prints, Degas frequently experimented with unusual viewpoints and compositions. The artist, who was also a prolific sculptor, often used pastels to give his figures almost a sculptural quality. Celebrated for his vivid depictions of Parisian modernity and leisure activities in the late 19th century, he masterfully played with light and shadow to create dynamic artworks. 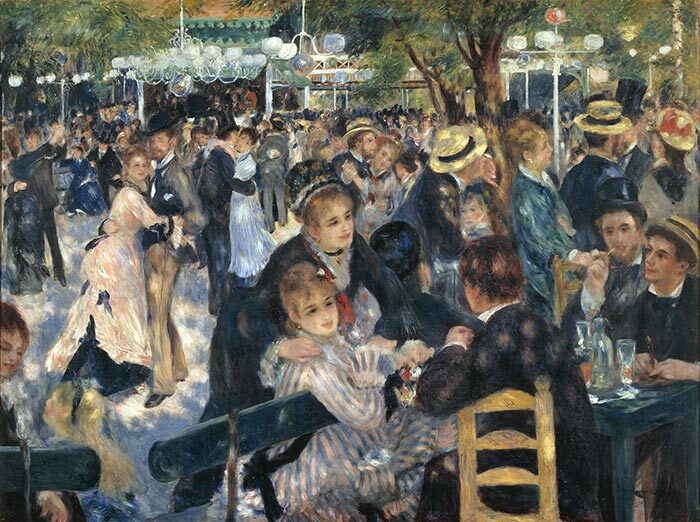 Renoir's broken brushwork and bright colors portrayed pleasant, lighthearted topics, like gatherings of friends and female nudes. 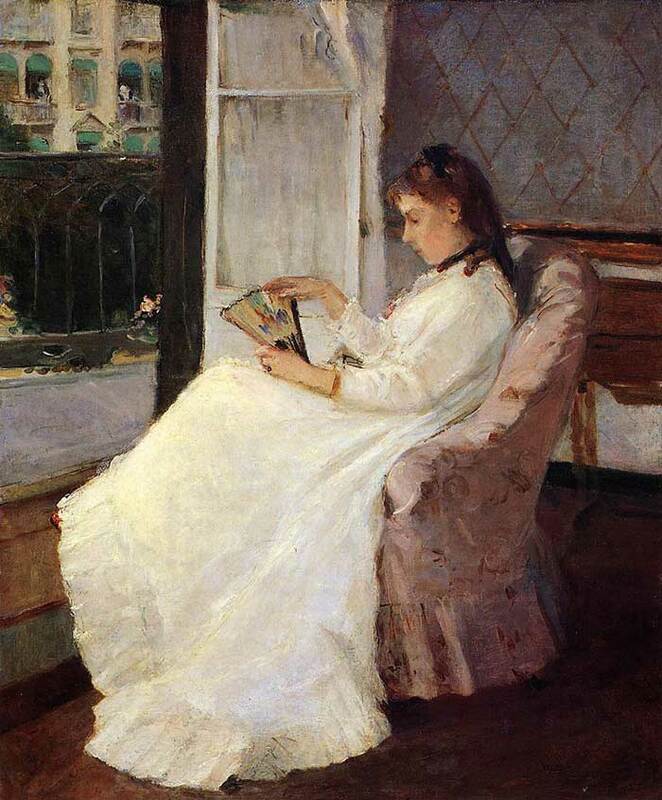 Berthe Morisot, the first woman to exhibit with the Impressionists, rose to prominence by painting rich compositions that highlighted the domestic lives of women of the time. Her paintings often included nudes, still lifes and portraits of her daughter Julie who was the artist’s favorite model. Following an invitation by her friend and mentor Edgar Degas, American painter Mary Cassatt joined the Impressionists around 1877. The artist is renowned for her vibrant depictions of mothers taking care of their children and other everyday scenes of domestic life at the time (knitting, reading, drinking tea, etc). 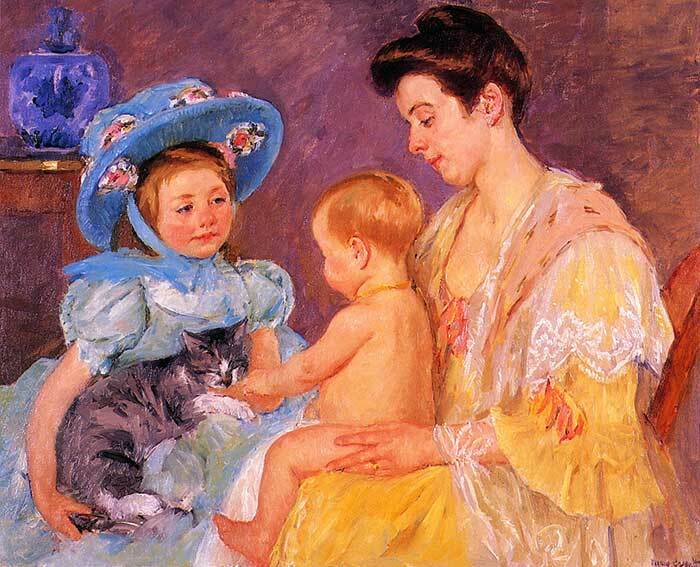 Cassatt combined Impressionism with the influence of Japanese prints and traditional techniques of old masters to create works that articulated the complex relationship between women and children. But unlike the old masters who represented the female form in a very flattering manner, Cassatt depicted women for who they were, without adornment or beautification. You do not need to paint subjects with deep underlying meanings. You can paint flowers merely because you think they are pretty. This places a focus on painting technique over subject matter. You can create a vibration of color by using the broken color technique. This also allows you to blend subjects with the background like Camille Pissarro did in many of his paintings. You do not need to resort to blacks and browns for shadows. You can use blues, purples, greens and so on. This is a much more flexible approach to color and results in more colorful displays. Your impression of the subject is important and unique. This is the reason why two artists can paint the same subject, but end up with completely different paintings. 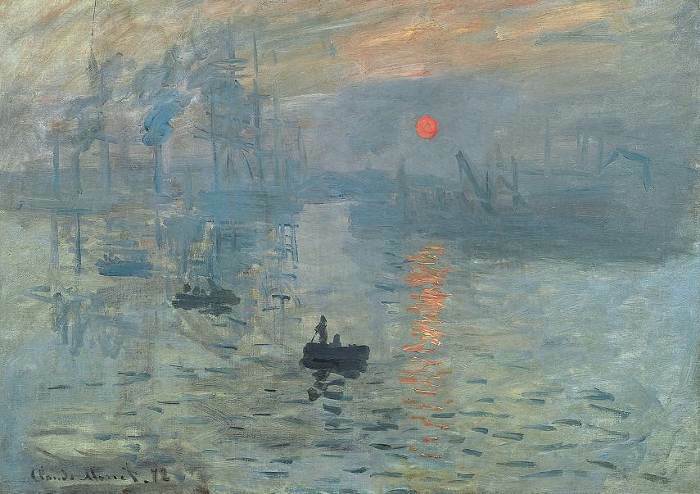 Is impressionism just an excuse to be lazy? Amazing, just amazing. Thank you for sharing this Dan! Really appreciate your sharing. Many thanks. Thank you ! I learnt a lot. 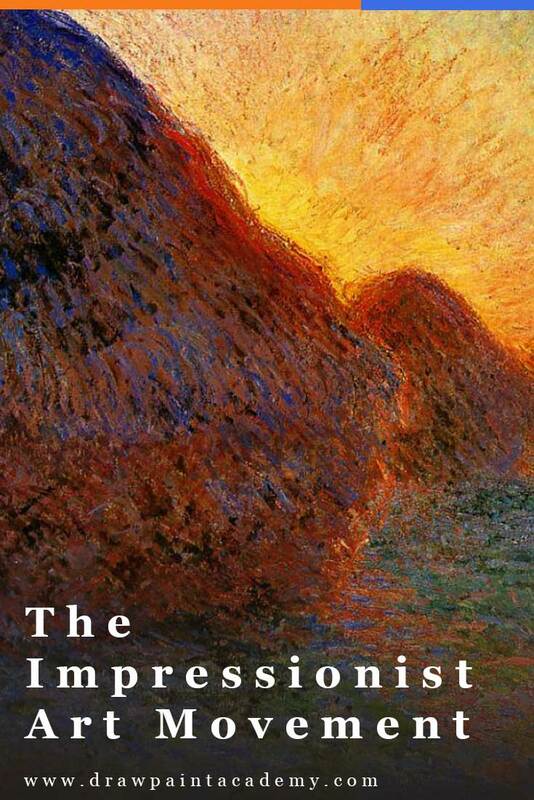 Thanks for the guide to the impressionist art movement. I think it would be cool to see the work of a contemporary impressionist artist in person to see how this style has progressed and how it’s stayed the same. I also think it’s easier to see the different levels of detail in person, and so appreciate it more.